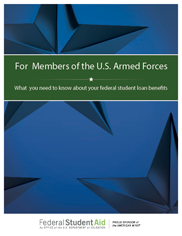 There are a variety of student loan benefits available to members of the armed forces. We encourage you to learn about them and contact our Military Benefits Team for assistance. You served your country with pride. Now bring your drive, determination, and skills to help our millions of customers navigate the path to financial success. Join Team Navient – check out our job openings. Watch a video about military student loan benefits in our Path to Success learning series. We're here to answer your questions and help you get the benefits you deserve. *Sending documents via email: If you choose to communicate with us via email, please understand that you assume all responsibility for the protection of your personal information while in transit to us and you should consider appropriate email security measures. You won't be assessed fees or any other charges while taking advantage of this benefit. This benefit applies to loans that were obtained prior to active-duty service. 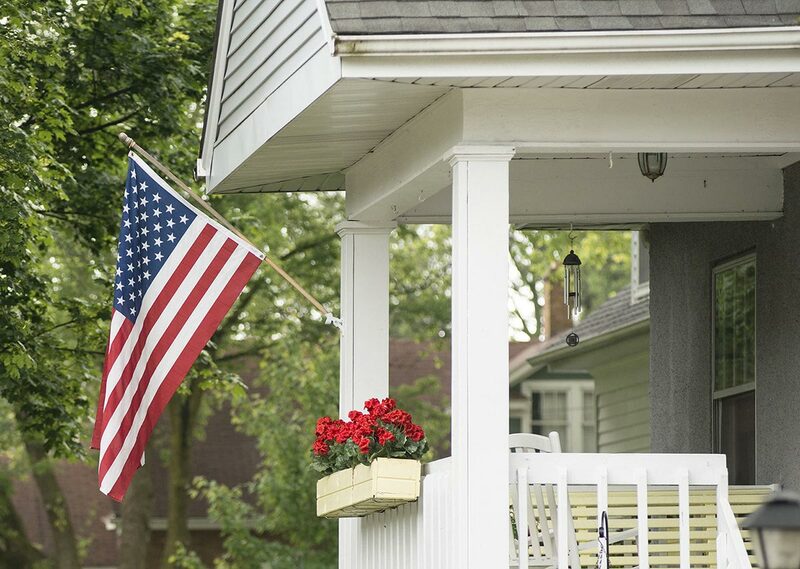 It is important to know the earliest benefit effective date for federal loans is August 14, 2008, and active duty periods that fall on or after that date may qualify. SCRA benefits have always been available for Private Loans. Navient proactively checks the U.S. Department of Defense Database, and will automatically apply the benefit to your eligible loans. If the military active duty periods are different or the benefit is not applied to your loans, please submit valid military documentation. The fastest way to request SCRA is online. You may be eligible to postpone your student loan payments while serving active duty military service or in the National Guard on qualifying duty in connection with a war, valid contingency operation, or national emergency and for 180 days immediately following demobilization. You may be eligible to postpone your federal student loan payments while serving active duty with the National Guard or other Reserve Component in connection with a war, valid contingency operation, or national emergency for a 13-month period if you were enrolled at least half time at an eligible school at the time of, or within six months prior to, being called to active duty. This postponement is available for up to three years to borrowers of Health Education Assistance Loans (HEAL) who are on full time active duty in the U.S. Armed Forces. The HEAL program was discontinued in 1998. If you meet the requirements for a Military Service Deferment, you can submit a completed Military Service and Post Active Duty Student Deferment Request form, a copy of your military orders, or a signed letter from your commanding or personnel officer. The initial 12 months of a Military Service Deferment may be granted if you or your representative submit a verbal request. Subsequent periods require additional certification. You may be eligible for the Military No-Interest Accrual (MNIA) benefit while you are serving active duty during a war, valid contingency operation, or national emergency and are serving in a hostile area that qualifies you for special pay under 37 U.S.C. § 310 ("MNIA Qualifying Duty"). During MNIA Qualifying Duty, you do not have to pay interest on your Direct Loans for up to 60 months. NOTE: This benefit is only available for Direct Loans, disbursed on or after October 1, 2008. For Direct Consolidation Loans, this benefit applies to the portion of the consolidation loan that repaid loans first disbursed on or after October 1, 2008. TO APPLY:Provide your written request along with a copy of your military orders showing you're on MNIA Qualifying Duty. Serving on active duty during a war or other military operation or national emergency. Residing or employed in an area that is declared a disaster area by any federal, state, or local official in connection with a national emergency. Suffering economic hardship as a direct result of a war or valid contingency operation or national emergency, as determined by the Department of Education. The HEROES Act allows a waiver of certain documentation requirements attached to federal student loans. For instance, if you are enrolled in an Income-Driven Repayment (IDR) plan and your military service prevents you from providing updated information on your family size and income, you or your representative can request to have the IDR Monthly Payment Amount maintained without recertifying your plan information. The HEROES Act also allows for extensions of your federal loan status. Your loan status will remain in effect if you’re called to qualifying active duty during your grace period or while in-school or graduate fellowship deferment. In certain circumstances, as determined by the Department of Defense ("DOD"), all or a portion of your student loans may be repaid. If you qualify for the DOD Student Loan Repayment Program, you may also be eligible to postpone your payments by requesting a military-related mandatory forbearance. Navient does not administer the DOD Student Loan Repayment Program. For more information about this program and how to apply, consult your branch of service personnel, benefits, or education coordinator. If you are totally and permanently disabled, you may qualify for a total and permanent disability (TPD) discharge of your federal student loans or TEACH Grant service obligation. If you receive a TPD discharge, you will no longer be required to repay your loans or complete your TEACH Grant service obligation. You are totally disabled based on an individual un-employability determination.